The Life Science Zurich Graduate School consists of thirteen highly competitive Ph.D. programs, run jointly by the ETH Zurich and the University of Zurich, and aims to attract the most promising young students from across the world. Students accepted into the programs will receive a comprehensive and challenging Ph.D. education that will allow them to develop into tomorrow`s leaders in biological research. 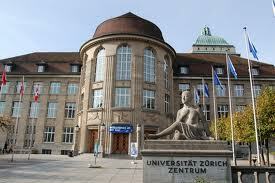 Here you can find the overview of all PhD programs at the Life Science Zurich Graduate School. To be eligible for the Ph.D. programs of the Life Science Zurich Graduate School, applicants must hold a Master`s degree or equivalent from a university in the field of natural sciences, medical sciences, computer sciences or engineering. Applicants admitted to the programs will have to register with either the University of Zurich or the ETH Zurich, depending on the affiliation of their future mentor. Research groups within the Life Science Zurich Graduate School provide financial support in accordance with the Ph.D. student salary set by the Swiss National Science Foundation (at present CHF 40`800.- in the 1st year; 43`800.- in the 2nd year; 46`800.- in the 3rd and 4th year). Please note that these are gross amounts from which approx. 15 % will be deducted for social security, taxes, etc., not including the private health insurance which is compulsory (approx. 250.- to 300.-/month depending on the scheme you choose). The income is generous compared to international standards and sufficient to make a decent living in Zurich. Living costs (including accommodation, health insurance, transport, meals) sum up to approx. CHF 2`000 per month. Apply online here and follow the steps. Demikianlah informasi mengenai PhD in Life Sciences at Life Science Zurich Graduate School semoga berguna bagi anda.